How many desks/spaces are you after? All weekly memberships include 24/7 access with code & key (for one person), high speed wifi internet (with direct optic fibre line), use of large communal area with bookable meeting room, print & scan facilities, and amenities usage with kitchen & bathroom areas. All costs below are listed per week and ex 10% gst. Please enquire for further terms & conditions. Looking for a permanent desk to take your business to the next level? Come join a group of like minded people and sit in our dedicated desk area. A dedicated desk is your own allocated desk, a lockable storage locker and desk chair. Also includes all general inclusions as listed above. Desk cost is $123+GST per week. or/ hot desk for $40+GST per day. 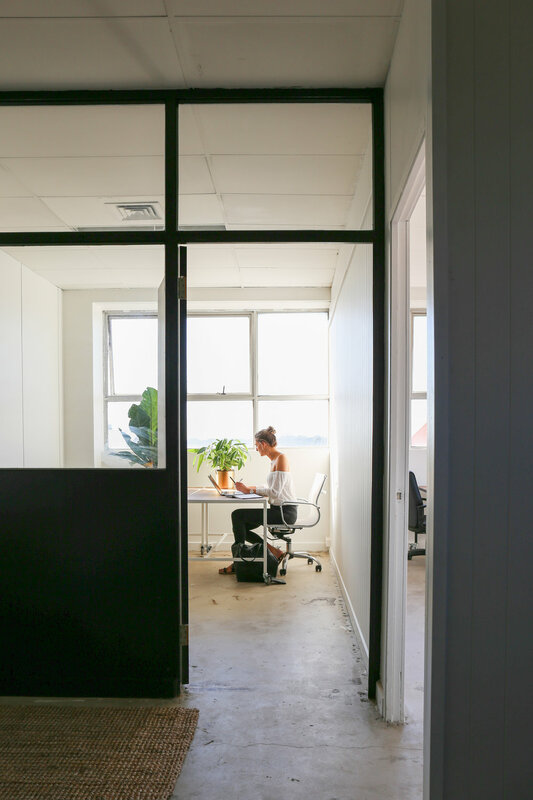 All private offices are lockable and include an allocated amount of desks/desk chairs. Rates are determined based on size (2, 3 and 4 person offices are available). Also includes all general inclusions as listed above. Starting from $246+GST per week for a 2-person office. These spaces provide a blank slate for you to use how you wish. All areas are lockable. Also includes all general inclusions as listed above. Starting from $450+GST per week.